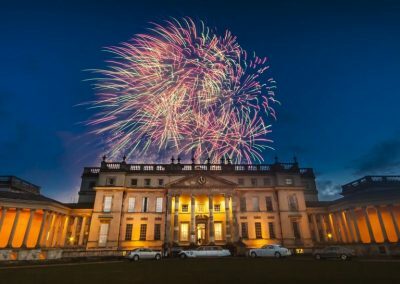 There are few finer wedding venues than Stowe House in Buckinghamshire, with classical architecture and magnificent landscape vistas. 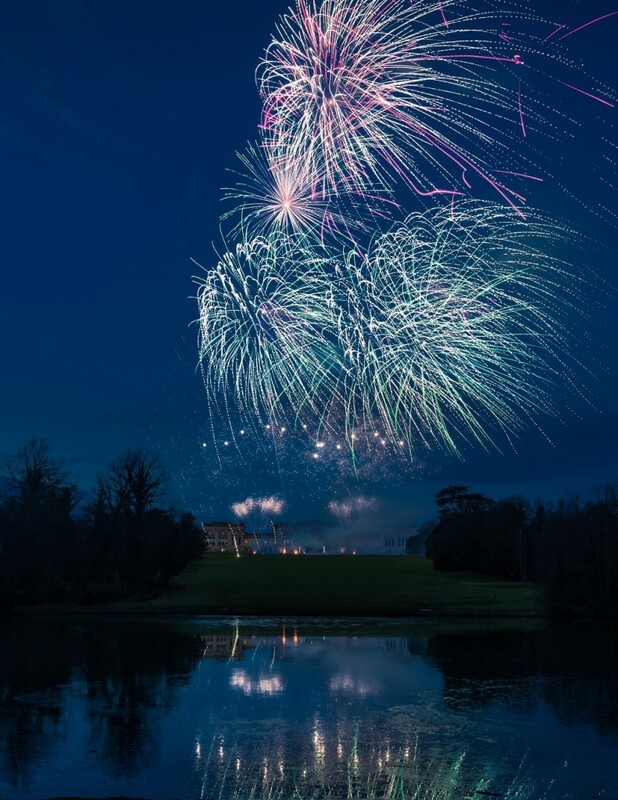 Why wouldn’t you want to step out from your wedding reception to see a firework display filling the Buckinghamshire sky to celebrate your marriage, reflected in the glorious Octagon Lake? 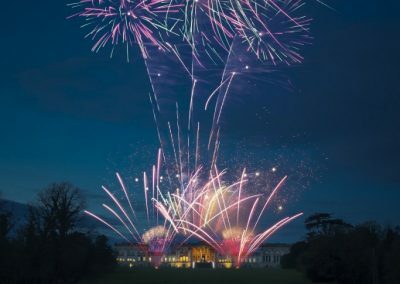 People are sometimes surprised that we are so enthusiastic about firing a display for a wedding “after all it isn’t the London Eye is it?” and “we haven’t got that sort of money”. 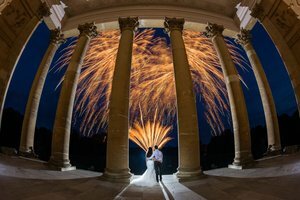 On the contrary we love firing at weddings – It is a chance for us to play a small but often commented on part of a special day. For as little as £1500 plus VAT we will come and add a really intense dollop of WOW to the evening. 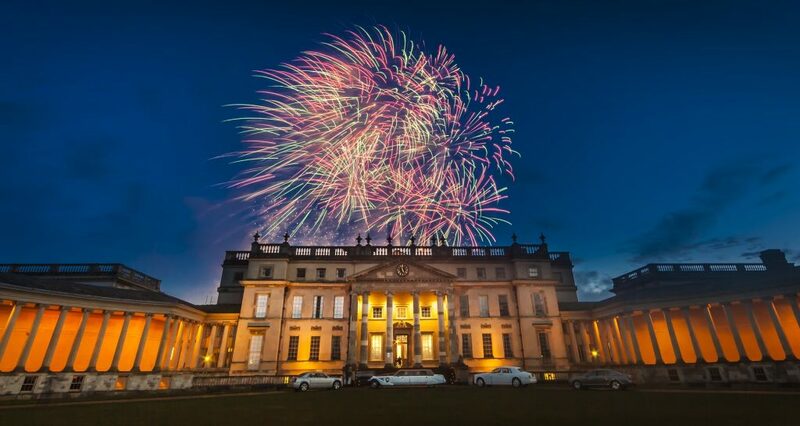 We wanted to give couples some idea what they get for their money so when Stowe Events asked if we were interested in providing a finale for their hugely popular Wedding Fayre – we jumped at the chance. The video was taken from two angles and although it was not quite as dark as we would have preferred the twilight sky does offer an unusual bluish hue to the display. 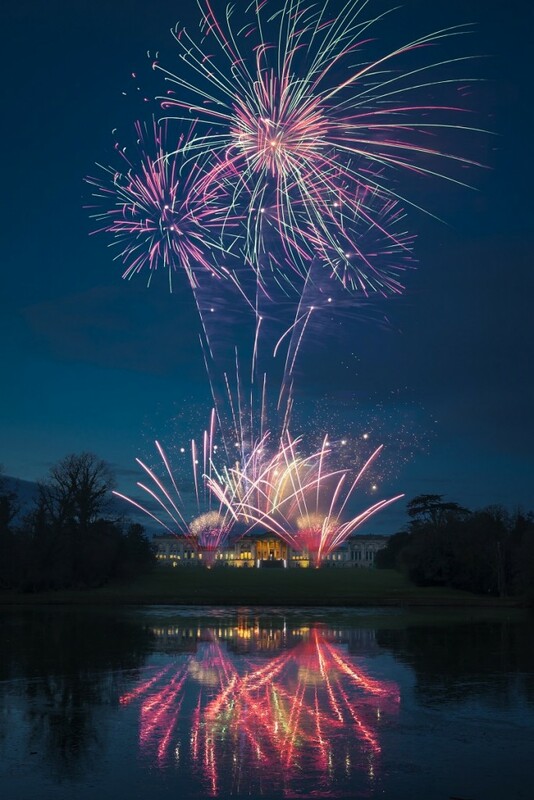 We think it demonstrates that with even a modest budget a display can be absolutely stunning– especially when fired to a favourite “special” song. 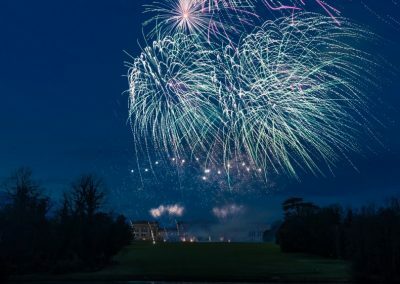 The most common discussion (after costs) is duration and we think the video shows that it is about what is fired during the display rather than how long it lasts; 5-7 minutes really is long enough and if set to music it can be as little as 3 minutes and still have the desired impact.